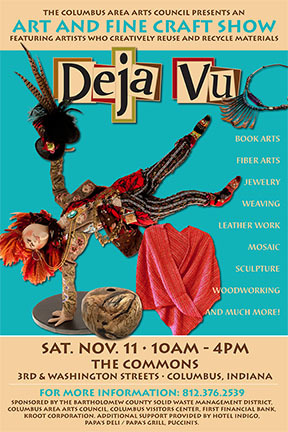 BUT, I'm happy to say that I'll be participating in Déjà Vu Art and Fine Craft show again. This is my favorite show anyway, and it's always good to see familiar faces and clients that have become friends of mine. I love it when you come up and show me how our jewelry is "still making you happy" or ended up "being the perfect gift" for that impossible to buy for person. A heart-felt Thank You. I'll see you Nov. 11 at the Commons in Columbus, Indiana!